Riders are racing ahead around five minutes ahead of schedule as the Tour de Yorkshire heads into the moors. A tail wind has given the cyclists a helping hand through East Yorkshire towards the North York Moors. However as riders take on the more uneven sections of the route, through Rosedale, Grosmont and Robin Hood’s Bay, they are expected to pass by each point at the expected times. 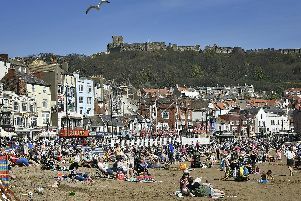 These include 1.41pm at Pickering, 2.08pm at Rosedale, 15.09pm at Whitby and 4.03pm at the finish line in Scarborough.